The machine is easy to use and good build quality as one expects from Melitta. However, Amazon shipped an item with a German 2-pin plug, not a UK 3-pin plug [illegal] so I had to find an adapter. Makes great coffee, and really keeps it hot for a lot longer than I expected! Will a cup of coffee do, or do you need the jolt provided by a freshly made shot of espresso? Either way, having a coffee or espresso maker in the home or office can save money and hassle when it's time for that morning wake up call! For coffee makers, the automatic drip machine is the most popular format. Bargain models do little more than brew the coffee, which is all that is required by many people. More advanced models will feature a number of welcome innovations including water filtration, automatic timer controls, built-in warming plate and serving carafe, and much more. Other coffee maker formats include manual drip, percolators, coffee presses, and the 'pod' style machines that use prepackaged packets of coffee. These require more work than the automatic drip models, including prep time and cleaning, but they also generally cost less and are an attractive starting point for budget conscious shoppers. For espresso machines, simple models use a pressure-brewing system – these machines are cheap, but rely on an operational temperature that might exceed the optimum brewing temperature. Pump or pressurized models use air pressure to facilitate the brewing process, which is the preferred method for true connoisseurs. As price goes up, espresso makers have a range of additional functions and conveniences just as coffee makers do. Capacity – Larger machines, meant for businesses and offices, can brew up to 12 cups at a time, perfect when you have a lot of people that need a cup of coffee at the same time. Smaller machines meant for personal use typically make 2-4 cups – their smaller footprint means you do not need a lot of counter space to house them. Warming Options – If you plan on drinking coffee throughout the day, or at least beyond the peak morning hours, you will want a model that incorporates an insulated carafe to keep the coffee warm for extended periods. Automatic Timer Controls – Hate fumbling with controls before you have had a chance to wake up? Automatic timer controls allow you to load the machine well in advance; in the morning, or when you want your coffee, the timer kicks in and the coffee machine will brew your coffee quickly and easily. 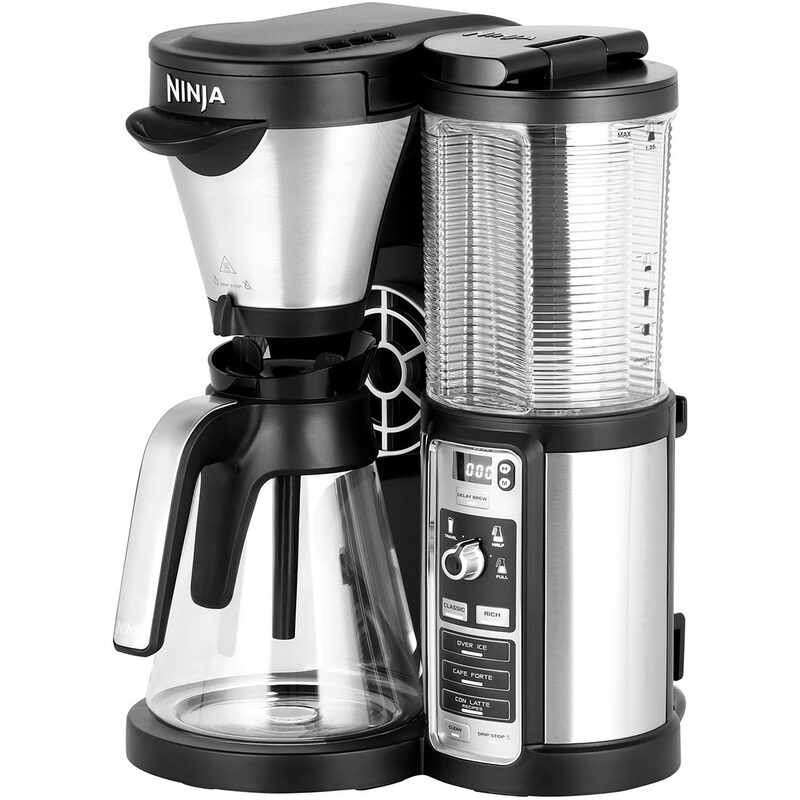 Additional Accessories – The almost limitless list for you to consider includes automatic safety shut-off, self-cleaning cycle, built-in bean grinder, pause and serve function (to prevent spills), brew strength and batch size controls. As always, more accessories and greater conveniences will cost more. Black & Decker and Mr. Coffee are the two most familiar names among coffee maker manufacturers – each has models from entry level to the high-end, but specialize in models that offer solid performance at a reasonable price. Cuisinart has focused on upscale models that offer all the bells and whistles, and cost accordingly. Braun and Hamilton Beach offer functional models that are both well priced and well reviewed. Saeco and DeLonghi each makes both coffee makers and espresso makers for a wide range of prices and tastes. Cuisinart espresso makers, like its coffee makers, are marketed as higher end products. alaTest.com has collected and analyzed millions of reviews from 2772 sources to help you choose the best Coffee & Espresso Maker from top brands like Delonghi, Melitta, Philips, Krups, Oxo and more.